This presentaton is about the HRMantra. How we have evolved as a company listing major milestones in our 15 year journey. 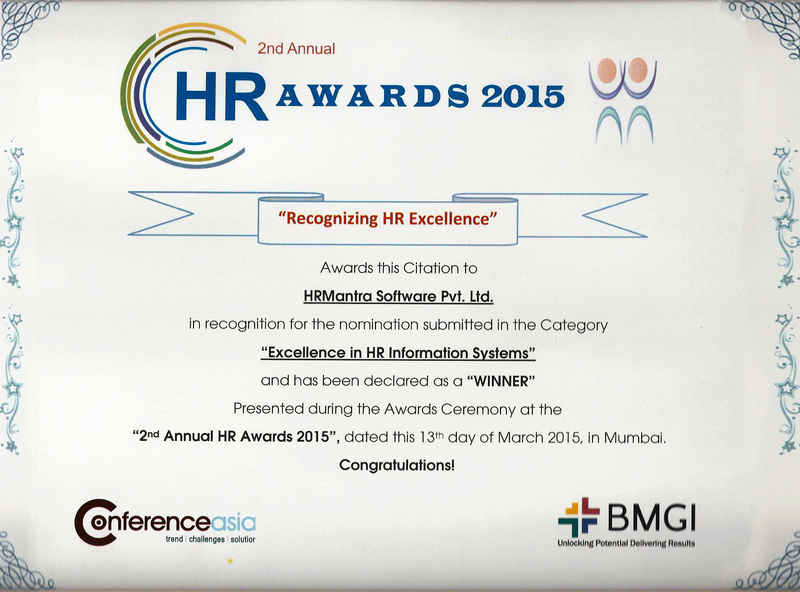 It also mentions detailed features of the HRMantra software including the list of workflows. Hamilton is the Indian market leader in intelligent housewares with famous brands like Milton flask, Treo Glassware etc. Their over 1000 employees are spread across the country & 100s keep travelling every month. They were using multiple softwares to handle their HR pain points but that itself led to multiple data entries & import export hassles. Hospitality industry have very complex HR rules related to talent management, payroll of casual / temporary / permanent / contract staff; shift management with large breaks in between, tip distribution across various employee groups etc. Hotel Industries can easily opt for HRMantra & can comfortably focus on customer service. 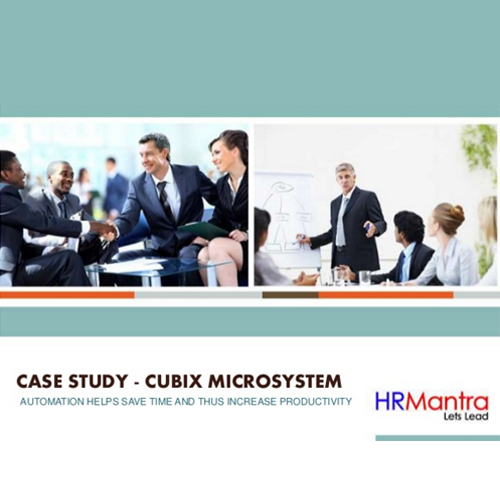 Cubix Microsystems is a leader in IT infrastructure consulting based out of Pune. Their employees are deployed across various client sites & had issues in doing HR transactions. They placed the order in mar 2010 & their HR team led by Shruti quickly went live & are happily using HRMantra since then. 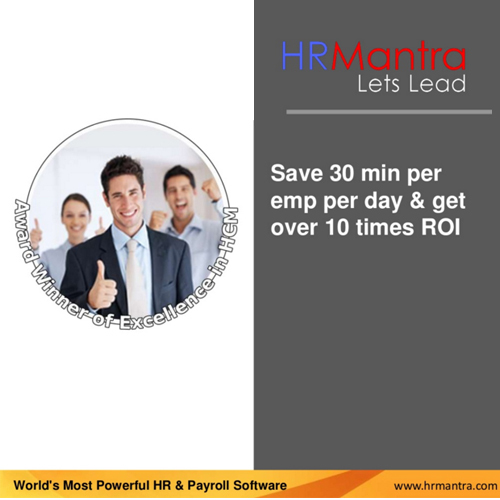 We are happy to inform you that we have launched our upgraded version with new look of HRMantra application effective from 18 Dec 2013 for all our clients. We are pleased to inform to all our clients and partners that we have achieved one more milestone of getting ISO 27001 certification done. HRMantra in its quench to provide world class product in HR and Payroll has got ISO 27001 certification in the year Jan 2012. HRMantra has fullfilled all the required data security controls and other obligations of ISO 27001 by streamlining all its important processes of product development life cycle. HRMantra Mobile - Amongst top 10 winners at NASSCOM EMERGEOUT Conclave 2010. We are very happy to announce that HRMantra mobile application has been selected as top 10 mobile applications at NASSCOM EMERGEOUT Conclave 2010. NASSCOM EMERGE Forum & IAMAI has jointly presented the showcase of the Top 10 mobile applications that are part of the ecosystem as game changers. The short-listed apps will get an opportunity to showcase their apps to an eminent jury, win a prize and get a great visibility through the EMERGE platform.